Gender bias remains deeply entrenched in the Burmese society. Women often suffer violence and discrimination hinders girls and young women to have access to basic education, health care, and decent work at fair wages. PIN has committed to assist the Catholic Good Shepherd Sisters in expanding their Support for Vulnerable Girls and Young Women in Myanmar. 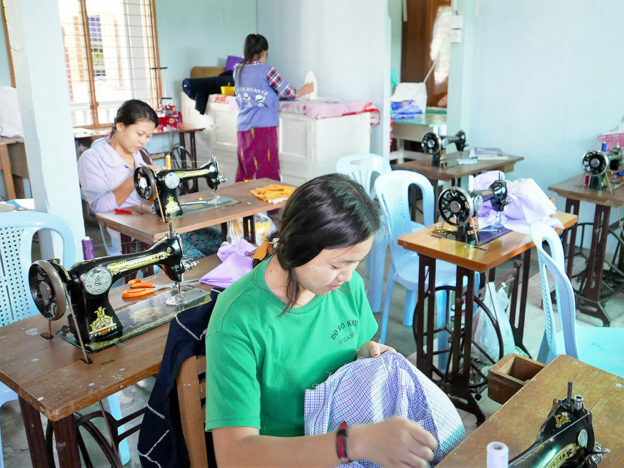 Together with the Good Shepherd Sisters we had started the Vocational and Leadership Training to empower girls and young vulnerable women in Yangon in 2006. In the first 10 years in Yangon the Sisters had trained and educated more than 160 girls and young women between the age of 17 and 27 in 12-month classes. 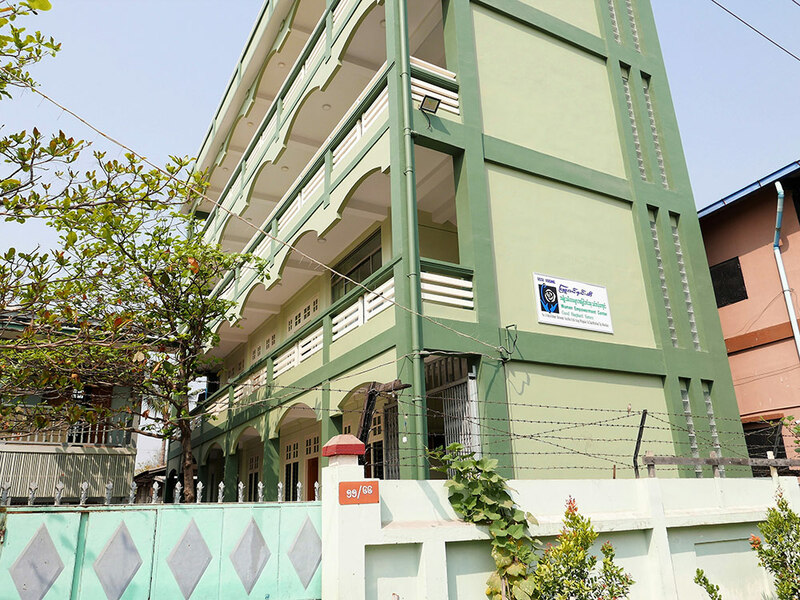 Given the success of the first 10 years the Sisters saw the urgent need to expand the empowerment program and suggested to move the Vocational and Leadership Training from Yangon to a new building in the more centrally located Mandalay. 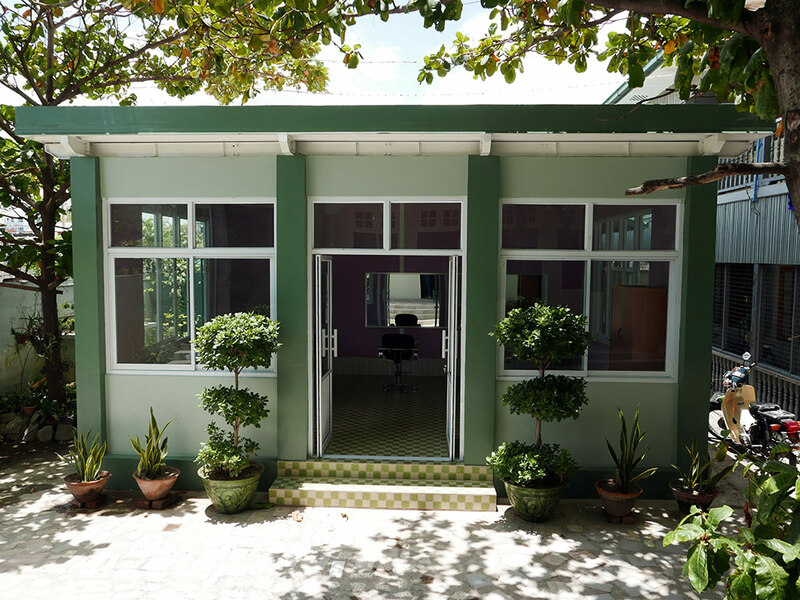 People In Need together with a major international donor had built a new house for the Vocational and Leadership Training in Mandalay Myothit. 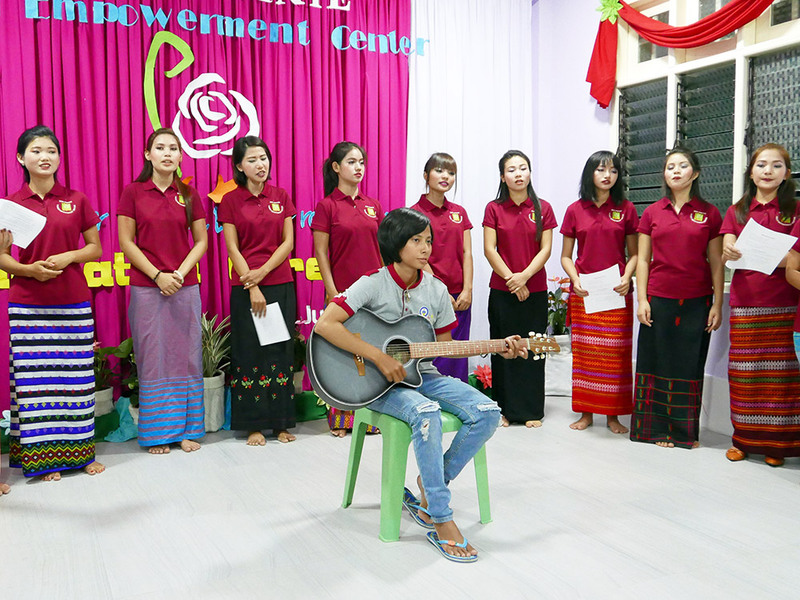 The “Rose Virginie Women Empowerment Center” was completed in 2016 and was officially registered with the Myanmar Government. In July of the same year we could start the 11th Class of the Leadership and Vocational Training Program in Mandalay Myothit. In Mandalay, we follow the same format as with the successful program in Yangon. 20 girls with different ethnic roots and from different Myanmar areas live and study together in Mandalay Myothit. In the 11th Class 9 young women were trained in English language and computer skills and 11 young women received sewing training. The young women originate from Irrawaddy, Mandalay, and Sagaing Divisions, and Kachin, Kayah and Shan States. They are trained by qualified English teachers, computer experts and sewing teachers. Three Sisters see to the young women and manage the Center. Volunteers, friends and the staff of the Good Shepherd Sisters support the girls and the program actively. In addition to the professional training, the young women attend seminars and awareness programs on Migration and Human Trafficking, HIV/AIDS, Leadership and Management, Ethical Values, and communications skills. The girls live in the Center and celebrate birthdays, religious feasts, national days and special occasions together and learn to respect and value different religions and cultural values. In exposure programs they learn to build relationships and to network. Towards the end of the study year the young women leave the center for a 2-month practical exposure to enhance their skills as trainees in companies and NGOs. As before in Yangon, People In Need contributes most of the operating expenses of the Leadership Training Program. To the extent possible the girls and their parents give a small contribution for the 12-month program. However, several girls cannot contribute the small fee and PIN provides scholarships for the poor students. In this year’s 12th Class we have a novelty, for the first time we include a Beauty Course with Hairdressing and Make-up in the vocational training program. In contrast to the other courses the Beauty training takes only 6 months: 3 months for hairdressing and 3 months for make-up. For the 12th Class the Sisters accepted a total of 27 girls and women living in the center plus 7 daytime students from the Healing and Drop-In-Center in Mandalay Downtown. The young women are between 14 and 35 years and get training in Sewing, Computer and English and as Beautician. As in all classes before, the girls come from socially disadvantaged families from villages all over Myanmar. The students are trained by qualified English teachers, computer and sewing trainers and by a qualified beautician. For the Hairdressing and Make-up program we built a small Beauty Parlor which was financed by a donation of the German hair-care company Schwarzkopf. The first 6-month Beauty Course was an overwhelming success. During the first three months the five students learned to cut and style hair. There was no shortage of volunteer models as our student hairdressers even went to the girls’ (juvenile) prison to practice and refine their skills. We hope that in 2018 hair-styling professionals from Australia or New Zealand will visit and join as volunteer trainers for a two-week period. On the day of our Christmas Party 2017 the Beauty students were extremely busy. All girls lined up for festive make-up and haircut for the evening celebration. After the 5 beauty students finished the 6-month course at the Center, the girls continued their practical training with local hairstylists. Ultimately, the Leadership and Vocational Training should generate its own revenues and should become self-supporting over time. By extending the length of our training and by including longer practical experience through internships, commissioned contracts, small scale creation of artisan products and custom-made clothes, the program will eventually generate its operating expenses and should become independent.